Learn more about the world's most advanced queue management system. 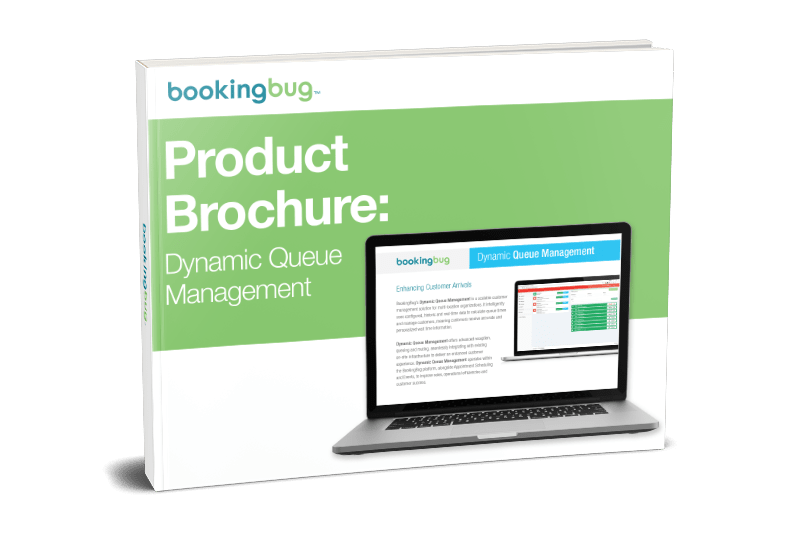 BookingBug’s Dynamic Queue Management offers advanced reception, queuing and routing. Seamlessly integrates with existing on-site infrastructure to deliver an enhanced customer experience. Dynamic Queue Management operates within the BookingBug platform.